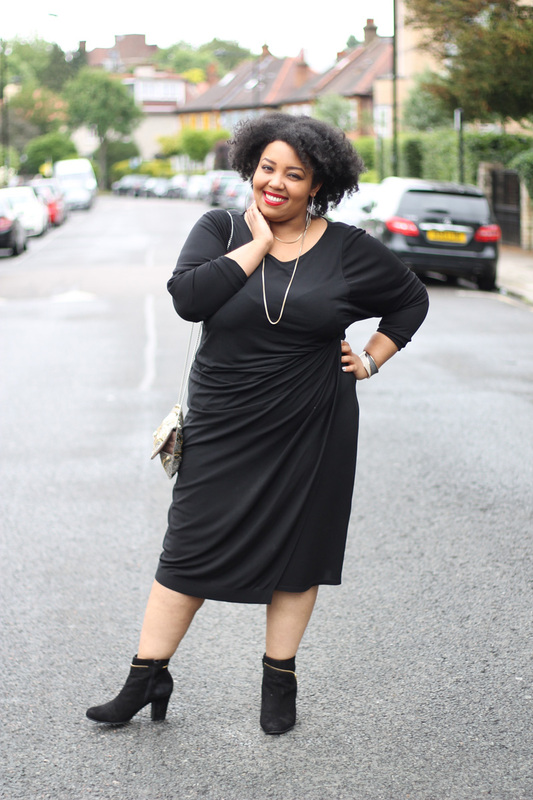 It’s All In The LBD! There are many terms and phrases that are applied to the clothes that we wear and many of them are amazing at describing a particular garment or style. I have my very own fashion phrase, I often refer to wearing a power colour. For me there are 3 power colours that I always enjoy wearing, can easily and comfortably style and know that whatever my makeup or hair style I can rock! These would have to be red, blue and of course black! Black is that staple colour that everyone has in their wardrobes. Some people rely on this shade for their signature look and work it into all of their outfits, others like to use it as a statement choice or for a more sophisticated finish. I used to pretty much live in black and it’s not hard to see why, every other colour works with it, any season appreciates it and everyone knows how to rock it! 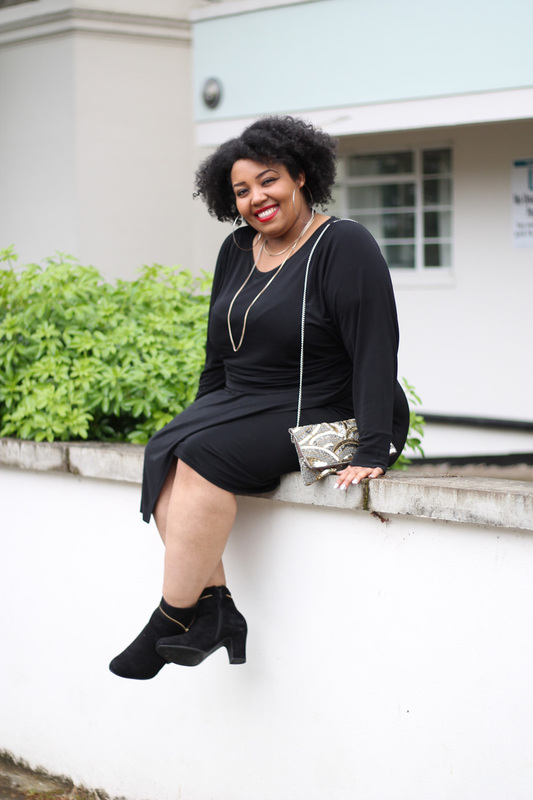 All women are pretty much told that it is essential to own at least one black dress that can work for all occasions and situations. 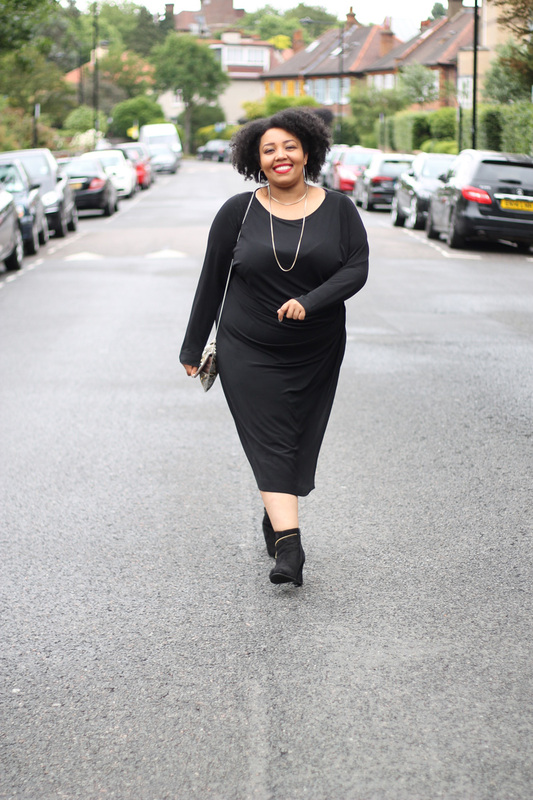 I have to be honest whilst I have many black dresses I have only recently gotten one that works for any occasion and it would have to be this amazing midi dress from Zizzi. This is a brand I have loved since I was first introduced to their fresh and fun style and, I have to say everything I have worn of theirs I have felt amazing in! This dress in particular is from a previous collection of theirs. I should note that they have some fab options similar to this available from many online and in store outlets in Europe. 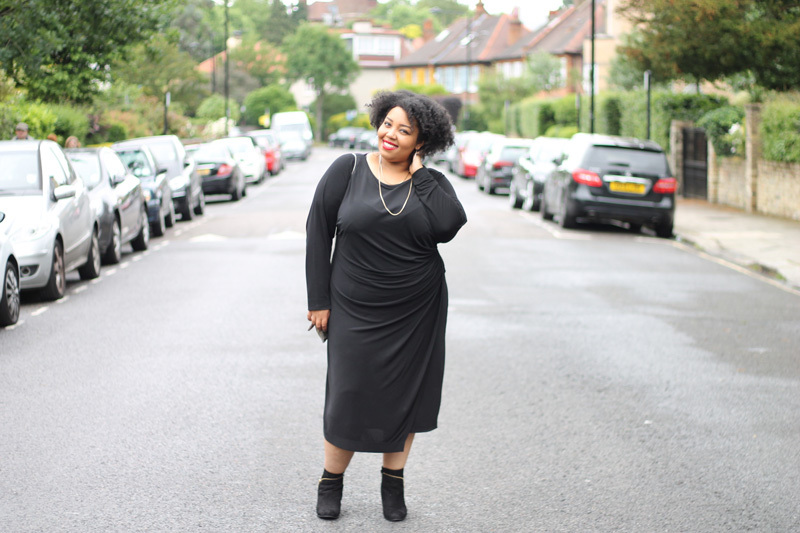 We Brits are fortunate to be able to get some of their hot items from UK outlet Navabi. 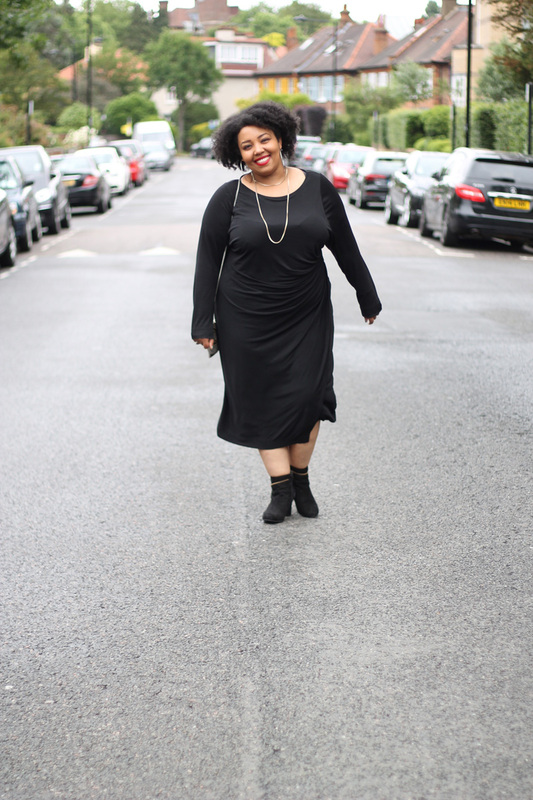 I can’t quite say I have a particular style of dress that I favour but I do tend to gravitate towards dresses that are midi length with 3/4 sleeves. I guess it’s because I know what shoes I would pair with them or what jacket lol. What I loved about this dress when I first saw it was how simple it is in it’s style whilst still having some small but very striking features. I really love the split at the front with the asymmetrical cut and the broach detail at the waist for a little added bling. The gathering is really flattering and also can help on those days when you just don’t want to wear any shapewear. I like the scoop neck detail and long sleeves with baggy upper arms. This is a dress that nips and hugs all the right places and flows across the curves beautifully. You all know how I am when it comes to colours, coordination is key in my look and lucky for me having black hair makes things easy at times. I decided when styling this one I would keep things simple. 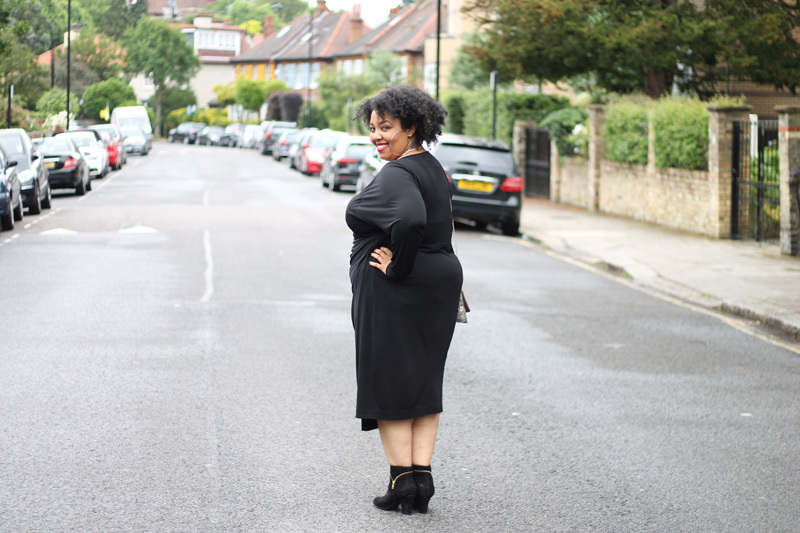 My Vanity ankle boots from Hotter were a must for height and comfort. I wanted a boot that was simple with a little added flair and the gold zipper detail was perfect for my choice of accessories. In keeping with the gold of the boots I wore a supper long, skinny gold necklace. I’ll be honest I couldn’t find my gold hoop earrings anywhere and so my silver ones were worn. 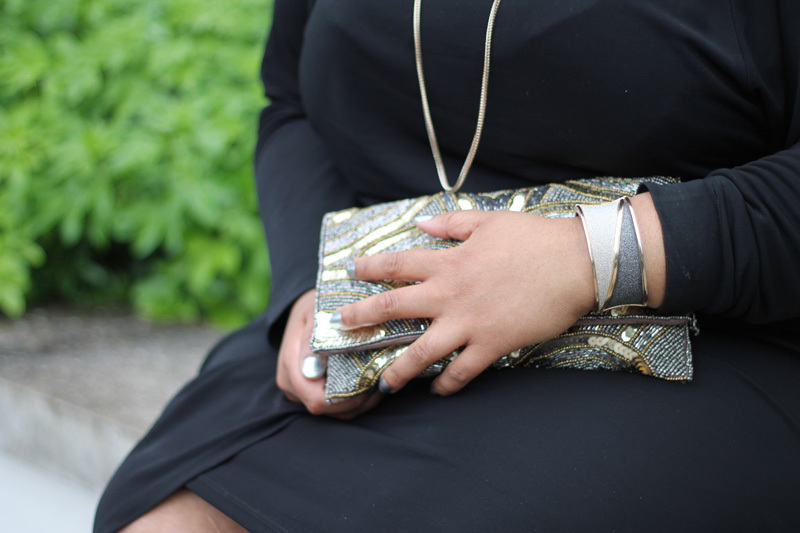 It worked out well though because my black, gold and silver bangle came in handy and my sequin clutch was the perfect bag to pull it all together. I just so happened to be wearing silver chrome nail polish too lol. My look was simple staple colours and tones but it all tied in together well. This dress is fast becoming one of my favourites to wear, I have worn it to work, out with friends for dinners and as somewhat of a modest party dress. When I took these pics I was in a pretty good mood. You know when you’re having a day when you like how your make up came out and you think your hair is pretty much on fleek? I always wear a rich red lip when i’m wearing a fully black outfit. I find the small but sharp pop of colour adds a little extra something to the look. 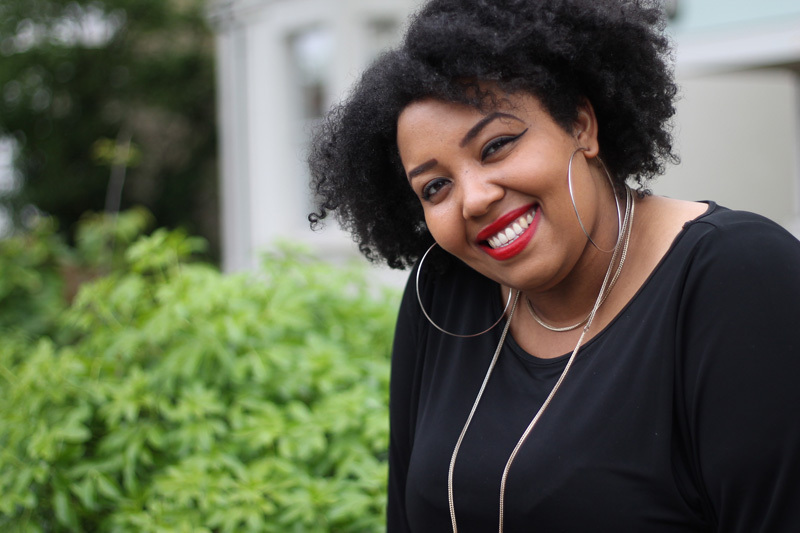 I also love how the contrast between my hair and the outfit combined with the red lipstick makes my teeth look so bright and white. Confidence is the most important accessory you can bring to any look. I always find that if you feel good in what your wearing you tend to feel better during the day. You feel ready for whatever task is at hand, can walk with pride and get the job done! A Little black dress may be an essential element to the wardrobe of every woman, but it has to be something that makes you feel a million dollars when wearing it! I have to say I have a lot of fun wearing this dress and find that I get a little extra spring in my step as I feel so amazing wearing it! Black always makes you feel & look your best, it’s simply beautiful. Thanks Tan, I love this dress it’s so comfortable, a really flattering cut.